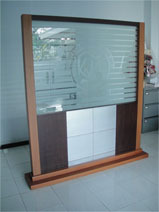 Founded in February 2006, our headquarter’s office is located in Semarang, Central Java, Indonesia. Initially, we started the business with handling the general chemicals supply to industries and manufacturers. Then we have been continuously challenged to grow amongst the aroused demands to be the reliable and trusted supplier for the industries and manufacturers. So that we are able to be a partner to see the growth of manufacture in Indonesia, whereby it is supported by the approved quality dan the degree of excellence of the raw feed. By plunging into the widerange and promising market, we are considerate to cover the procurement of laboratory tools and equipments. Afterwards we organize ourselves to carry the supply of chemical adhesive and household cleaner in due course. We are really committed and determined to put some nimbleness into our plans and expansion issues. Through our business line, we are firmly decided doing in favor of business growth in Indonesia.